gamodapk Is One Stop Destination For All Kind Of Study Matreial. 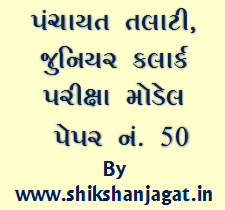 Shikshanjagat Is Provididng Daily Current Affairs In Gujarati And English, Online Tests, General Knowledge PDF Files, Educational Updates, CCC News, Exam Notifications, Results and lot more things. So Stay Connected to us for Latest Study material.